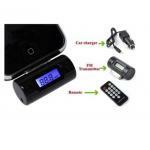 Now you can use your iPod or iPhone to listen to your favorite tunes through any FM Stereo receiver including your car radio. Wireless FM Transmitter wirelessly connects portable music players to your car or home stereo quickly and easily. 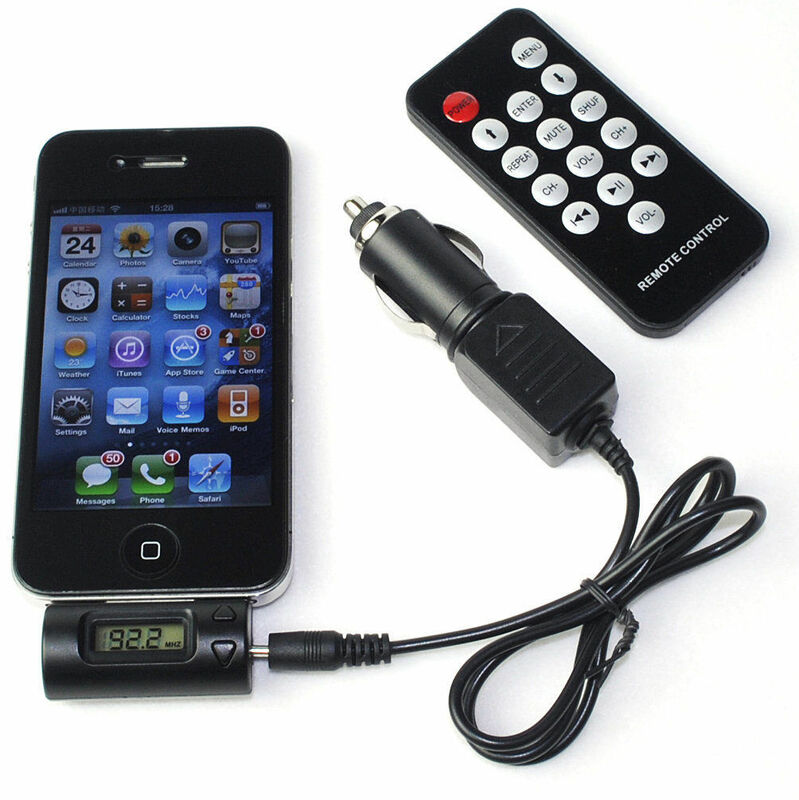 Just Plug the FM Transmitter into the iPod or iPhone tune your car stereo or receiver to the clearest FM frequency, and enjoy your digital music with full sound and convenience. - To charge the iPhone or iPod from car charger powered from cigar lighter. Hi no you need the 3.5 mm jack one on the same section. 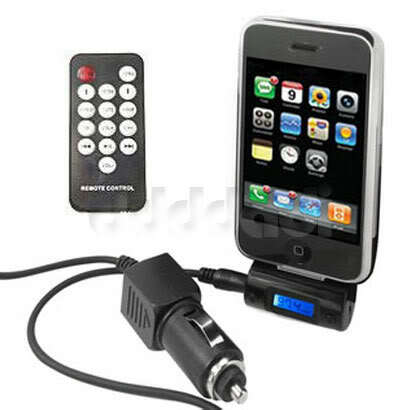 Will the transmitter work with an iPhone 5 using your 30pin to lightning connector? I know it says that it is easy to connect, but I have tried to connect to my car radio and it doesn't seem to work. 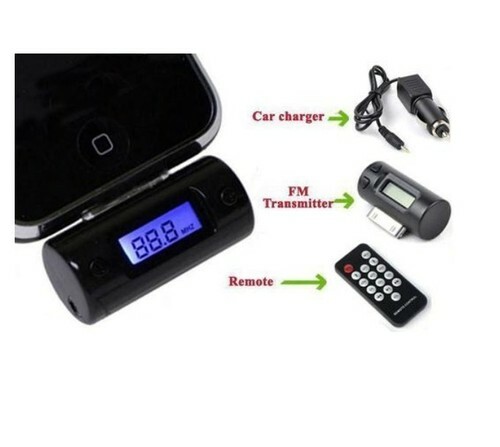 Hi most radios let you type in a frequency so look at the frequency on the FM transmitter then set your radio to the same channel check the signal is good and the sound clear. If not change channel on the FM transmiter and see if it is clear again. Once you find a nice sound Press and hold a preset button on your Radio until it beeps and thats it you use that Channel to listen to your FM transmitter. Hope that helps. How does it connect to your radio? does it automaticly connect and take over or do you have to tune it in and is it hard to connect it? Hi you just select a frequency on the transmitter then tune your radio in to it its very simple.